Coach V talking about the field installation, about a week away from being ready. Having an open house on 2/9 before the Vols whip that gaytur a in basketball. Good point. Well-defended and rational position. Thank you. God made grass for mankind to play on for outdoor sports. Man has not improved on it. And once you get a piece of tire rubber in your eyes from that crap flying in your face, you will probably agree. I have. Several times. Benefits of turf far outweigh the occasional speck in the eye. And it’s not even close. I’m a grass-loving purist myself. But good grief.... more affordable, more durable, better prepares players for running bases on all the other fields with turf. Some things just make sense. 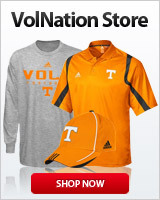 I have to go with Grayvol here. It is hard to have a natural grass field ready for play in February in East TN that will last all spring and into the summer. ...God made grass for mankind to play on for outdoor sports. Man has not improved on it. Isn't that true of most natural things? Is LSD better than psilocybin. NO! Indica? Sativa? Does Monsanto have anything better? NO! Really didn’t want to start any kind of battle, but Vol fans really need to see the situation before bashing the program and its choices here. I do prefer and love grass. But with the current situation for baseball (space, camp hosting ability, investment, etc), turf makes great sense. I'd rather have a real grass field any day of the week, but more and more stadiums are going to this artificial field. The Johnson City Cardinals installed it at their field for this past year, it doesn't play like a real field and will hurt us on the road but help at home. Nobody here is starting a battle. We all understand the advantages. We still mourn the loss of the smell of fresh cut grass to go with the crack of the bat and the pop of a ball hitting leather. The smell and sound of America's past time telling us it's time to get outside. just a novice in artificial turf field, but is that brown section between 2nd and 3rd and the section of foul grass between home and 1st going to start matching the rest of the field soon? I see they have apparently laid down all the carpet and have started putting down the in-fill this morning. I'm going to miss the batters box chalk template machine. I think the color difference in the brown is from spreading whatever they use to fill the turf with. Once they work it in, it'll all match. LMAO! Then I'll live with it. Actually, there may be some checkerboard accents. Checkmate - grab a broom and play ball! This turf will keep them on the field longer especially cutting rain delays. Some instruction required on snow removal for the new grounds crew. It’s early and everything is looking up! Looks like they're wrapping the install up. And it's Power T day.